Which I whipped up because my dad called and asked what I was doing for lunch. I said, "Come by. I'll make salad." There was light (and warmth!) all around. On the east side in the morning, the west side in the evening. Windows open, Brandi Carlile on the stereo. And time for returning emails, emptying the compost pail, taking the dog for a walk, reading for work, getting out Spring sandals. A general knowing that there is enough and will be enough. And lunch in the sun with my dad? That's healthy, too. 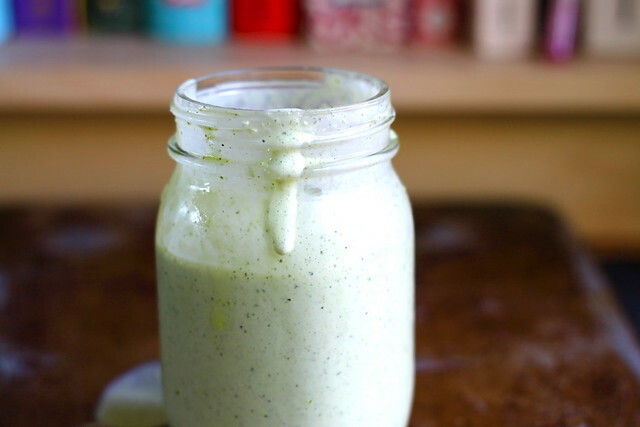 In a blender, combine 1 c. buttermilk, 1/2 c. mayo, 1 garlic clove, juice of one small lemon or 1/2 large lemon, 2 Tb. olive oil, salt and pepper to taste, and some handfuls of fresh herbs (big handfuls of parsley, cilantro, basil, or dill and smaller ones of thyme or oregano). Blend until smooth. Store in the fridge and treat yourself all week.